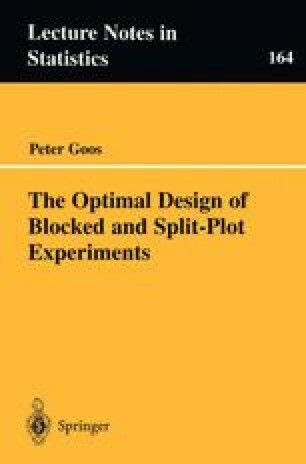 Split-plot designs are heavily used in industry, especially when factor levels are difficult or costly to change or to control. This is because this type of design avoids too many changes of the whole plot factor levels, which leads to considerable savings in cost and time. The purpose of this chapter on split-plot designs is twofold. Firstly, we investigate to what extent the designs of Chapter 7 can be improved if the number of whole plots is increased. Secondly, we compare split-plot designs to completely randomized experiments in terms of D-efficiency. It turns out that the former are often more efficient than the latter.